Scientists hope to dispel antiscience prejudices by better science education, and pundits hope to sway public opinion on issues like Obamacare or global warming by presenting the public with accurate facts and expert reports. 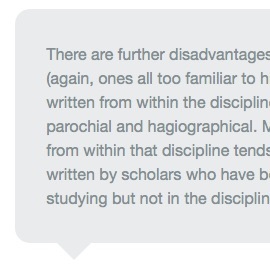 Such hopes are grounded in a misunderstanding of how humans actually think. Most of our views are shaped by communal groupthink rather than individual rationality, and we cling to these views because of group loyalty. Bombarding people with facts and exposing their individual ignorance is likely to backfire. Most people don’t like too many facts, and they certainly don’t like to feel stupid. 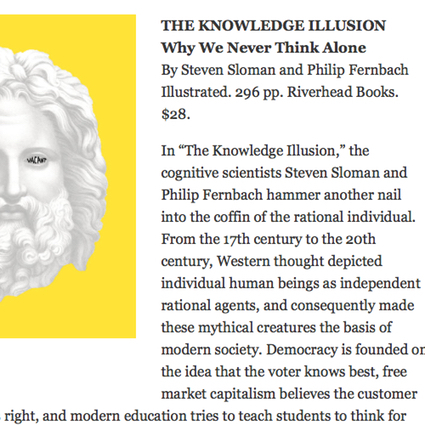 Y. Harari “People Have Limited Knowledge” in NY Times —A review of S. Sloman & P. Fernbach’s The Knowledge Illusion .